Hundreds of additional Impalas, Wildebeest, Nyala, Zebra and Kudus are arriving over the next few weeks at Thanda Private Game Reserve. 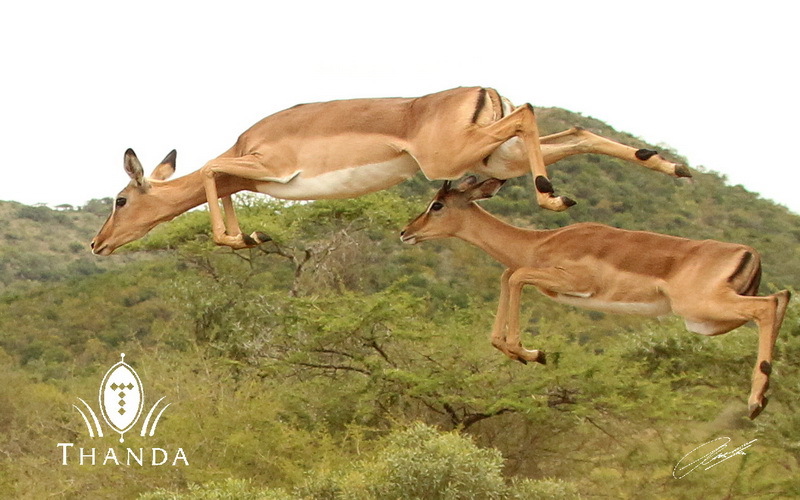 This large number of additional plains game will enhance the excellent Thanda Game Drive Experience even further. Besides seeing the Big Five on daily drives it is very exciting to see large groups of these herbivores roaming on the reserve. Thanda will also receive additional Cape Buffalo Bulls. Together with over 30 Buffalo birth in this rainy season, this will bring the number of Buffalo at Thanda to well over 160. What a beautiful sight and film.. Awesome action shots. Excited for you and the Thanda quest for the new additions . May I ask -How were they able to roundup so many at one time and where do they come from? Enjoy your new animal friends,Have a Great One. It just keeps getting better all the time, eh.